It’s ironic that a rapper named Young Thug—an almost comically unimaginative alias that on its face evokes the laziest stereotypes about rappers and their glorified street mentality, reveling in a heartless world of wanton violence and not much else—would actually be the current hip-hop artist most dedicated to to the ideals of romantic love and affection. The most prolific, anarchic, and innovative rapper doing it has both a mouth (though he did buy a new set of pearly whites recently) and a heart of gold. But there are also very sincere moments where he works through his emotions quite literally. He expresses that he’d never want to “snooze and lose” her. He declares that he loves just having her around. He swears off the groupies (whom he may or may not have slipped up with before, causing a brief breakup, which he acknowledges at another point by noting how torn up he was about breaking her heart). He mentions that he’s drinking lean less, likely at her behest. He marvels at how he much he’s learned from the relationship. And we marvel, too. 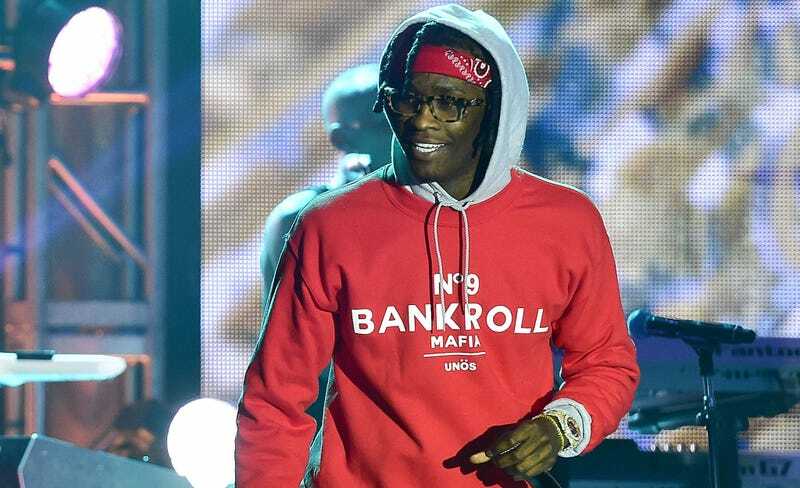 While “Worth It” is especially revealing in certain ways, it’s not at all an outlier in Young Thug’s vast catalogue. Songs like “Beast,” “Hey I,” “Calling Your Name,” “Tell Em (Lies),” “Because of Me,” “Scared of You,” “Miss U,”—I mean, I could keep going—demonstrate just how inspirational he finds the act of loving another person, and, maybe even more importantly, how unashamed he is about it. If only all rappers were as progressive as Young Thug.